Allison runs a blog called West Coast Aesthetic, but by day she’s an Art Director at Amazon where she primarily works with home interiors. Her projects vary, but she can usually be found mood-boarding creative concepts, forecasting the next interior trends or art-directing on a photoshoot. She’s always been interested in art, design and fashion; she’s been making art in some form since she was old enough to reach an easel, and her childhood career goal was to become a fashion designer. Now, between her job at Amazon and her successful blog, she gets to do a bit of both. True to the name of her blog, Allison is a west coast girl. Born, raised and currently based in Seattle, she says that the laid-back west coast vibe has had a big influence on her style. She embraces both comfort and fashion, combining neutral colors with bold pieces. 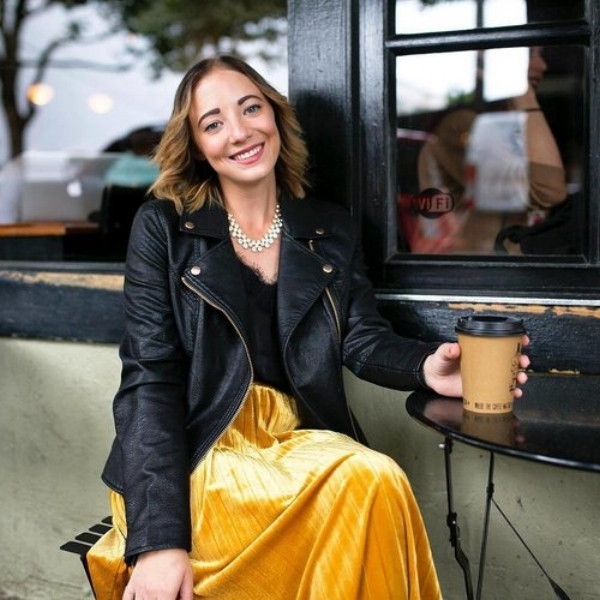 Her style blurs the line between “I would never think to put those two things together” and “Those look great together!” Allison loves her creative job and the fun outlet her blog provides, and her goals are only getting bigger. She’s been working on the draft of a book for the past two years, and hopes to finish and publish it before she turns thirty. It’s a lot to juggle, but Allison is dedicated to her pursuits. She shared her favorite piece of life advice with us, and it’s clear from her work that she has internalized this statement: If not now, when?